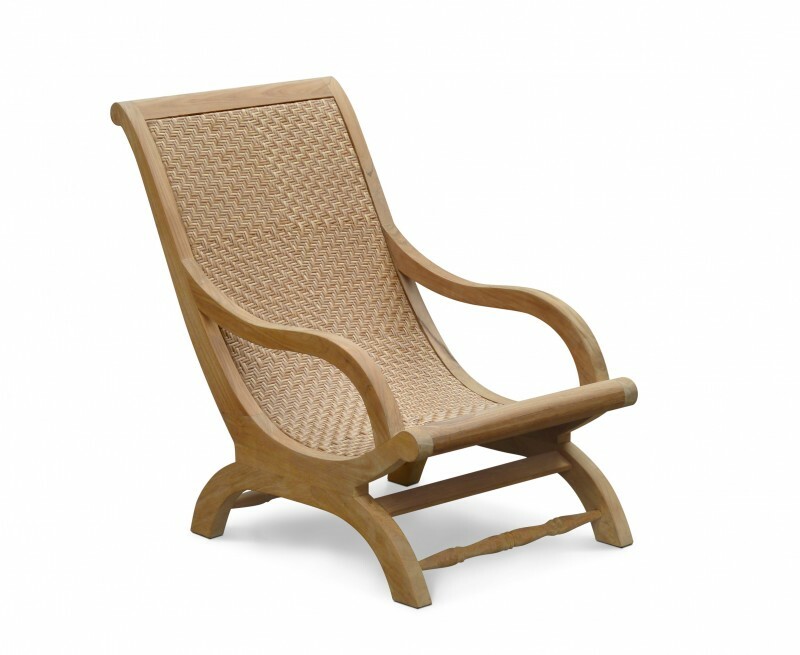 Our Riviera outdoor lounge chair is reminiscent of the easy chairs used on the verandas of colonial British India, known as plantation chairs. 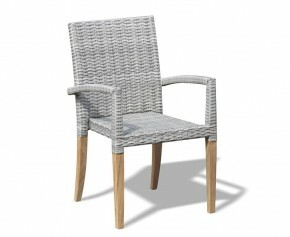 This teak and rattan lazy chair has been skilfully handcrafted from sustainable grade-A teak and Rehau Raucord® rattan. Both materials are highly weather-resistant and durable, offering long life and great looks. 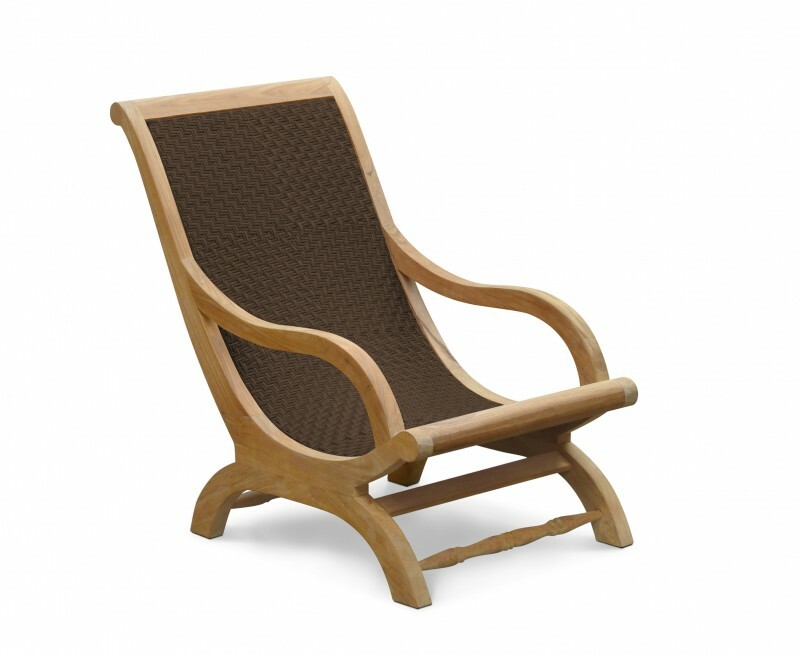 This outdoor lounge chair is ideal for use in living rooms or conservatories, although it is also suitable for year-round outdoor use in all weather. This low-maintenance garden chair requires only occasional cleaning with soapy water to keep it in tip-top condition. 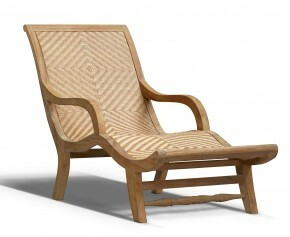 We will deliver this Riviera outdoor lounge chair to you fully assembled for your convenience. 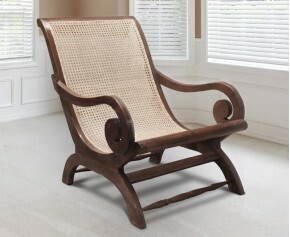 - Hand-crafted with reclaimed teak and Rehau Raucord® rattan. This item of furniture has been hand crafted in genuine sustainable teak (Tectona grandis) and outdoor rattan, which has been carefully hand woven by craftsmen in Rehau Raucord®. These fibres have a high tensile strength, durable yet soft to the touch with a high UV rating giving lightfast vibrant colours. Suitable for year round indoor or outdoor use.